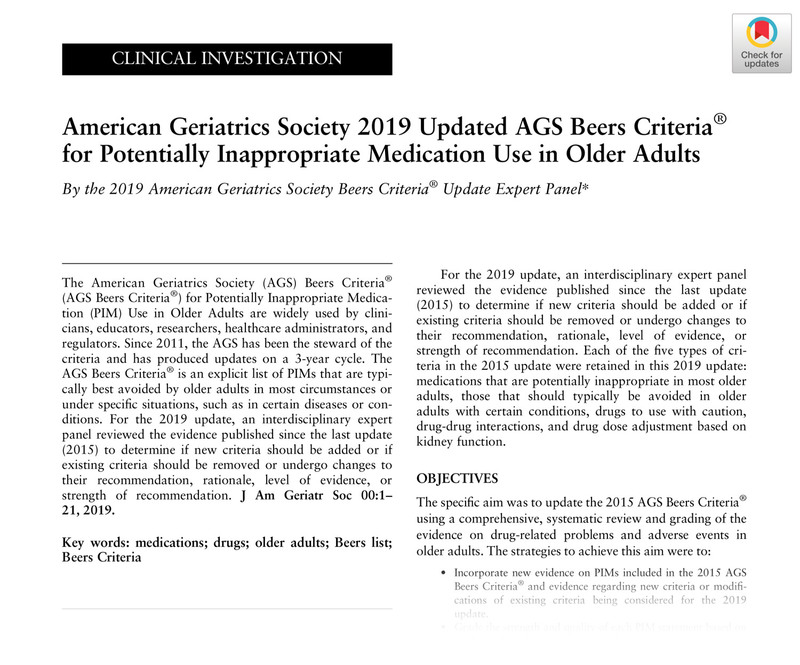 The 2019 AGS Beers Criteria® includes 5 lists of nearly 100 medications or medication classes to avoid or use with caution for some or all older adults. 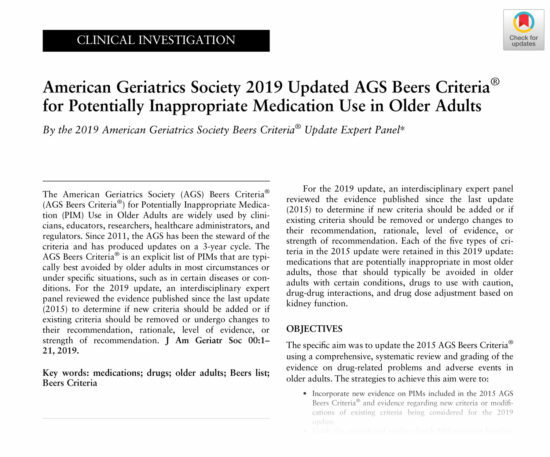 The American Geriatrics Society (AGS) recently unveiled its latest update to one of geriatrics’ most frequently cited reference tools: The AGS Beers Criteria® for Potentially Inappropriate Medication Use in Older Adults. With more than 90% of older people using at least 1 prescription and more than 66% using 3 or more in any given month,1 the criteria—a compendium of medications potentially to avoid or consider with caution because they often present an unfavorable balance of benefits and harms for older people—plays a vital role in helping health professionals, older adults, and caregivers work together to ensure medications are appropriate. What is the AGS Beers Criteria? 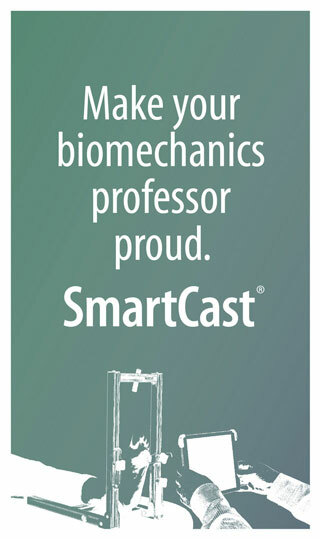 First developed by Mark Beers, MD, and colleagues in 1991, these lists have been staples of care for nearly 3 decades. They were transitioned to the AGS—a nonprofit society of some 6,000 experts in care for older people—in 2011. 30 individual medications/medication classes to avoid for most older people. 40 medications/medication classes to use with caution or avoid when someone lives with certain diseases or conditions. Several changes to medications previously identified as potentially inappropriate. Twenty-five medications/medication classes were dropped outright from the last update to the AGS Beers Criteria in 2015, while several others were moved to new categories or had guidance revised based on new evidence. Companion tools released with the 2019 update also include an expanded editorial outlining the proper use of the criteria, particularly when it comes to 2 important priorities: Safe prescribing practices at the bedside and the development of quality measures for evaluating health care. “The AGS Beers Criteria aims to guide older people and health professionals away from potentially harmful treatments while helping us assess quality of care,” noted Todd Semla, MS, PharmD, BCGP, FCCP, AGSF, also a co-chair of the AGS Beers Criteria panel for 2019. “The AGS Beers Criteria should never solely dictate how medications are prescribed, nor should it justify restricting health coverage. 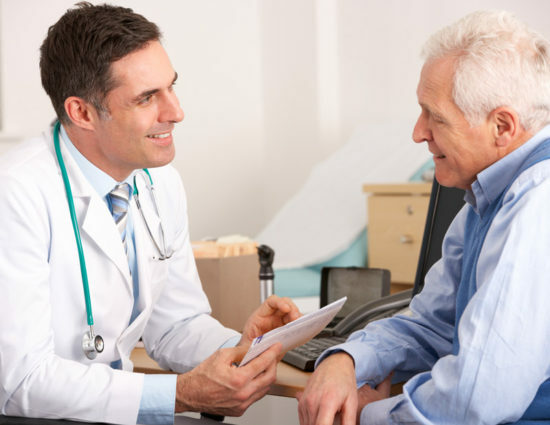 This tool works best as a starting point for a discussion—one guided by personal needs and priorities as we age,” added Michael Steinman, MD, a fellow co-chair of the expert panel. The caveats and rationales informing AGS Beers Criteria recommendations are as important as the recommendations themselves. Appreciating these nuances can help healthcare professionals know why medications are included on the lists, and how approaches to prescribing can be adjusted accordingly. 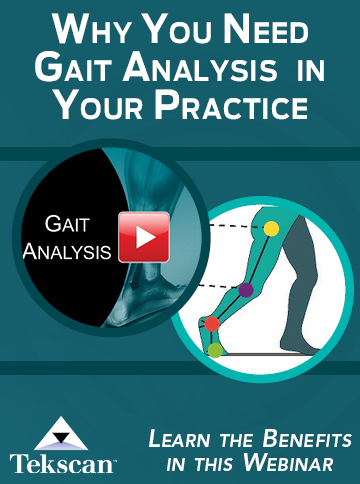 Optimal application involves identifying potentially inappropriate medications, and where appropriate, offering safer nonpharmacologic and pharmacologic therapies. For more information about American Geriatrics Society, visit AmericanGeriatrics.org.